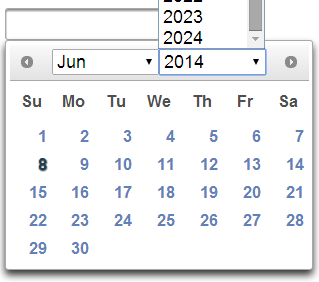 By default, the year range is 10 years before and 10 years after. as shown above, this year is 2014, the year range can only in between 2004-2024.
to display wider range, need to enable the yearRange attribute. 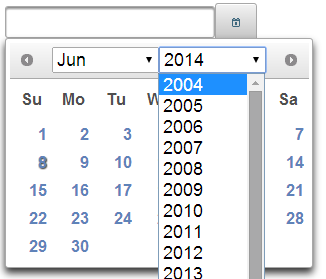 with the above yearRange settings, the year can display up to 50 years before and 10 years after. Meaning current year -50 and current + 10.